Yes, The Dig is a very nice band. They’ve won an award, in fact, for writing at least one very nice song, though, for the record, they’ve written more than one – but the exact number is a matter of debate. 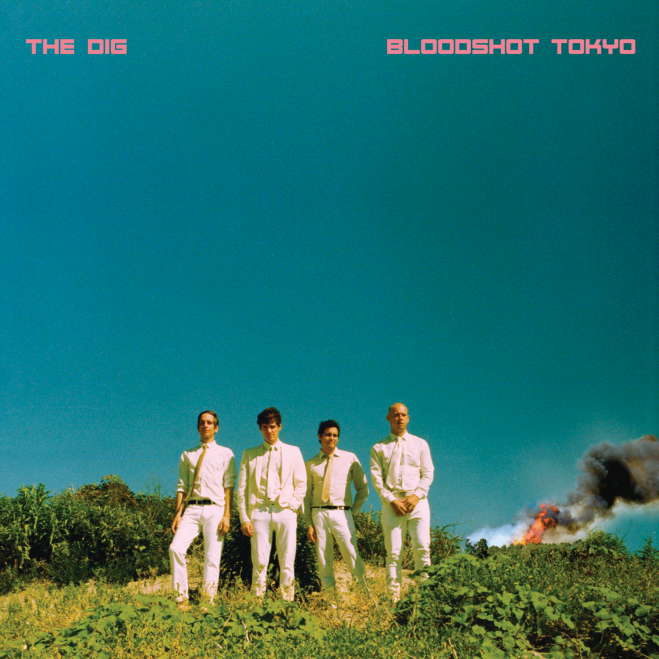 Their latest album, Bloodshot Tokyo, is, not surprisingly, from start to finish, very, very nice. Eleven nice songs about love, longing, regret (in the context of relationships of course), estrangement and so on. And the ‘why’ is important, possibly, the most important. There are many mediocre musicians who found nuance in a topic, or invented a sound, or spoke for something without a voice, and these creators get remembered because it’s clear to the audience that something outside of their daily experience is happening when their songs play. The creators who do something innovative and are also talented (George Harrison, Anne Erin Clark, O’Shea Jackson, etc.) remake the world, and re-arrange the audience’s perception. The musician can become a legend this way. It’s impossible for every band to be as groundbreaking as the Beatles, duh, but should not every band try? There are a lot of good singers and songwriters and instrument players who do rock-n-roll love songs. It is, perhaps, the most worked-over subject matter and genre in the history of music. Therefore, with respect to the cruel economics of the music listener’s valuable and limited time, a rock-n-roll love band must be more than just ‘good’ or ‘nice’. But Bloodshot Tokyo is both those things, and nothing more. Except for the last song on the album: “Over The Rails”. This composition is, if not unique, quite rare because it assumes the viewpoint of the selfish, cruel, petulant lover for whom enough is never enough, but needs the audience to agree. It’s a narrative of beautiful internal violence, as it raises sympathy in the listener through pathos, but is untenable in logos. No other song on the album, and few songs on the radio, achieve this complexity of thought, with such enviable artistry. If Bloodshot Tokyo, in general, is a study of static non-ethos, “Over The Rails” represents dynamic anti-ethos.